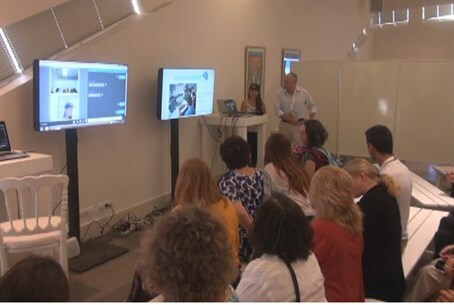 Four-day conference discusses learning through innovations that are beyond the screen. A conference entitled “Shaping the Future III: Edtech beyond the screen - from virtual to tangible reality” is being held this week at the Center for Educational Technology. The four-day conference, which concludes Thursday, focuses on how learning occurs with innovations that are beyond the screen and how to adapt education to the age of the Internet. Speakers include Education Minister Naftali Bennett and actor, producer and Star Trek star LeVar Burton.